Bad: still needs many upgrades in terms of optimization and A.I. In this world there are all kinds of gamers: some prefer shooters, some prefer strategy and if friends playing together like different styles, it is sometimes hard to find a middle ground. To name a great example: Grand Theft Auto Online. This can appeal to different sorts of people, namely those who like to fight, those who like to race, those who like to wage wars and some that just want to have a good time. In Eximius: Seize the Frontline, it seems that the middle ground has been set for both shooter and strategy fans. Your life as an officer starts with a really good and informative tutorial which begins by explaining the basics such as gun handling and how to change equipment. After the initial combat experience, you will be prepped for commander training. This is the most important stage, and while playing online, we noticed that many players tend to skip this essential part. You get a full explanation and training of how to use your commander functions and what you can do. This might be very complicated at first but actually isn’t that hard. Now that you have had your first boots-on-the-ground experience, it is time for the real deal. 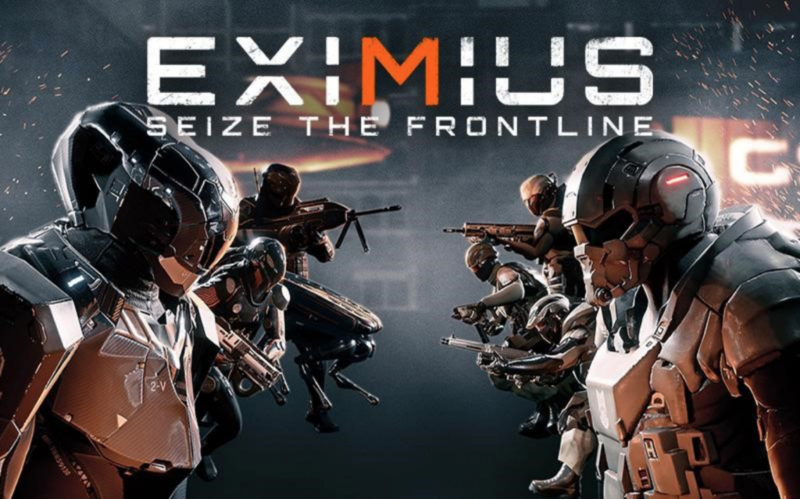 Eximius: Seize the Frontline has two main modes: online and offline skirmish. In the single player portion you play as the commander with four A.I. teammates that you can give commands to. Sadly, this isn’t worked out that well and the A.I. is at this moment completely uncontrollable. Not only does this make the difficulty slightly higher since these officers are quite powerful, this also means that the only way to capture points is to either do it yourself or send engineers there. The enemy commander is very smart and will make your first matches a living hell, but once you get the hang of it, he will be fair to take on. When you feel ready to try your skills online, there are currently two options available. First is a 5v5 PVP setting in which two factions go head-to-head on the battlefield to determine which team is the strongest. Talking about teams, the game is all about teamwork: officers on the field can request backup or supplies from the commander, he can on his turn decide where some officers need to go or who gets the necessary provisions. Immediately it is noticeable that players who have a decent skill level get a certain respect from others and will be able to better work together to achieve victory. 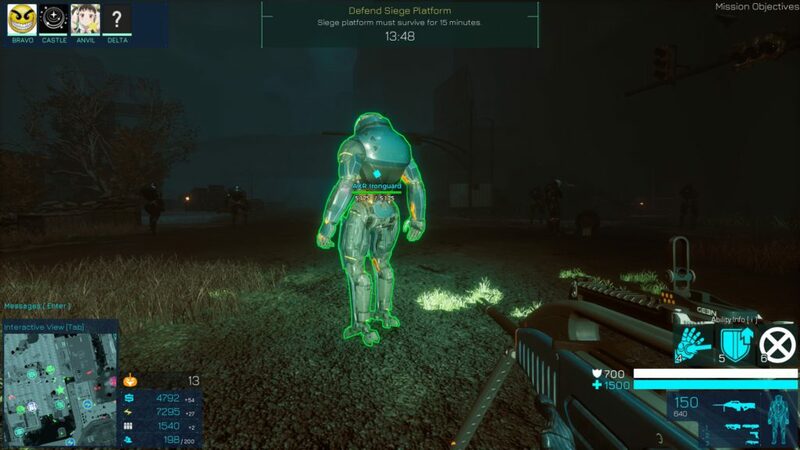 At the moment of writing this preview, there is another mode available for Halloween, a five men PVE setting in which you must defend your base for a full fifteen minutes. We do not know whether this is just a test or this mode will be incorporated on a later release, which we sure hope so. A small downside is that finding a game can be very hard at this moment in time due to the main focus on online activity. In our tests there was, with some luck, always one room available to quickly jump in and play, but you don’t have that much to choose from. Controls feel very natural; combat is like any other First-Person Shooter and when you are the commander, you switch to the overlay mode with the push of a button. 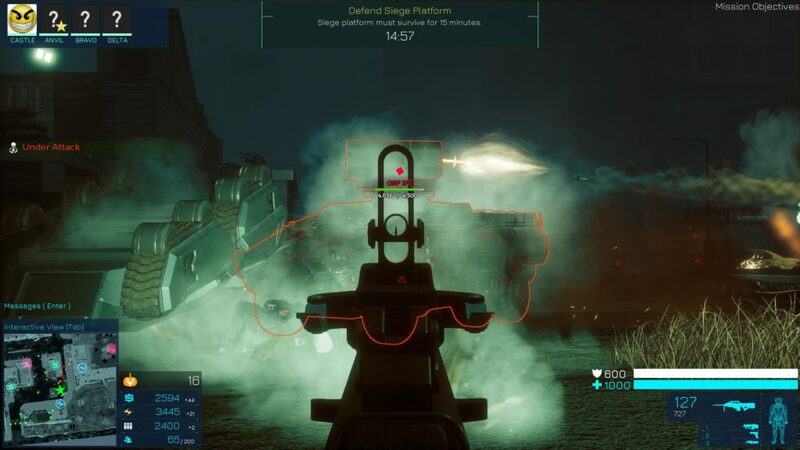 A clear HUD makes for easy playing and, even in the heat of the battle, you can quickly create more troops and call in for backup while covering from gunfire all around you. As this is a preview of the game, there are still many wrinkles that need to be ironed out. One of the most important is the graphics optimization. While everything runs smoothly at first sight, you will notice big frame drops after a while. Even when turning down the graphical settings, this still occurs from time to time. Furthermore, as mentioned earlier, the computer controlled units feel very greenish with their lack of a hands-on approach. Nevertheless, the game is well playable and can be real funny with these imperfections and we know that the developers will sort these out before the release. 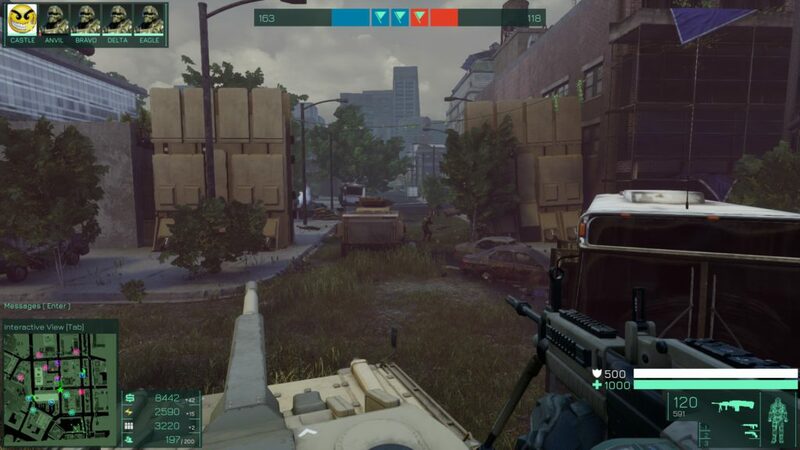 Eximius: Seize the Frontline is a game in its early stages with a limited online community, which means that if you decide to give this game a chance, you need to keep in mind that you will spend most of your time training in the offline mode. However, it is still a great game to play; the game modes are very fun and the mixed gameplay goes well for both fans of shooters as well as strategy titles. Eximius: Seize the Frontline has a great base to start with and let’s hope that the developers keep a good pace to make this a memorable game.